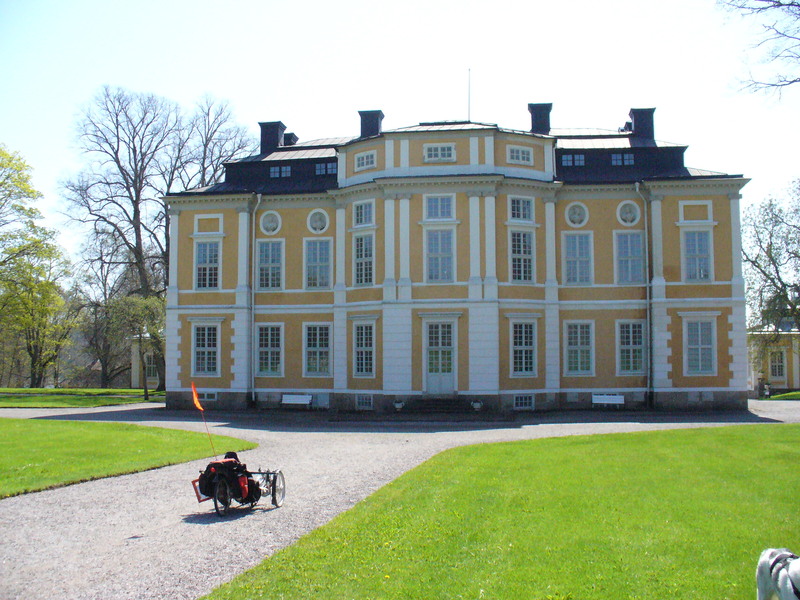 From the 1600’s, Steninge Slott is one of the best preserved from it’s time. It is built in the baroque style. There are busts set in alcoves above some of the second story windows, both front and back. In the back, is a path and stairway leading down to the lake. The garden and accompanying builds of the manor are of balanced symmetry. There is even a simple hedge maze to either side of the central path with a three meter high fountain.